What concerns Americans the most as they look ahead toward the retirement years? One of their biggest worries is outliving their money, according to a recent survey by Prudential Retirement. A substantial 71 percent of survey respondents fear they may not have enough retirement income to last a lifetime. 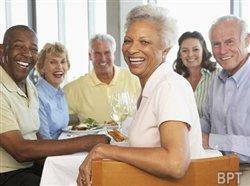 Only one in five are highly confident they will have sufficient retirement income. Putting money aside for retirement while you are still working is important, but it’s only part of the solution. Equally important is to have a plan on how to manage your retirement nest egg so it will continue to generate income throughout your life. The pros at Prudential Retirement have some suggestions on how to help make that happen. Sri Reddy, head of Institutional Income for Prudential Retirement, advises people nearing retirement to begin shifting their focus from accumulating savings to considering how best to distribute those savings during retirement. One avenue to explore is to check with your employer to see if there is a guaranteed income option available in your company’s retirement plan. Two out of three participants in the Prudential Retirement survey said investing in this type of option made them more confident about their retirement security. Continuing to work part-time may be a necessity in order to generate needed income for your retirement budget. According to the Prudential survey, nearly three in four middle-class Americans believe they will have to find some work in retirement. Check out possibilities now for part-time employment. Don’t wait until after retirement. Once you have a plan in place to generate lifetime income, look at how to cut expenses after you retire. One of the best ways to stretch your retirement savings may be to reduce housing costs, which are a major expense for most Americans. If your kids are out of the house and your mortgage is paid off, think about downsizing now before you retire. Add any profits from the sale of your house to your retirement savings and move to a less costly situation – such as a smaller house or a condo. In addition, do an assessment of all the ways you spend money and economize wherever you can. Careful planning now, while you are still working, will help you to achieve your goal of a secure and fulfilling retirement and making it last a lifetime. Prudential has done extensive research about how people can create better outcomes by modifying their behaviors. For a copy of this white paper, “Better Participant Outcomes Through In-Plan Guaranteed Retirement Income,” visit www.prudential.com.